Gov. Peter Shumlin's comprehensive energy plan includes a significant portion dedicated to improving the Vermont transportation infrastructure, calling for a greater focus on pedestrian/bicycle projects and increasing the number of in-state vehicles powered by renewable sources. Chris Cole, a planning and policy director with the state's Agency of Transportation, said during a Thursday forum in Brattleboro that the governor's plan reduces petroleum consumption in Vermont while reducing energy use in the transit sector. Shumlin's energy goals overlap with the measurable objectives within the transportation goals, such as having 25 percent of all registered vehicles powered by renewable sources by 2030. Furthermore, increasing public transit ridership by more than 100 percent (to 8.7 million trips) by 2030 is also a target in the plan. On Vermont's railroads, Shumlin calls for quadrupling passenger rail trips (to 400,000) within two decades and double the amount of freight tonnage during the same time period. 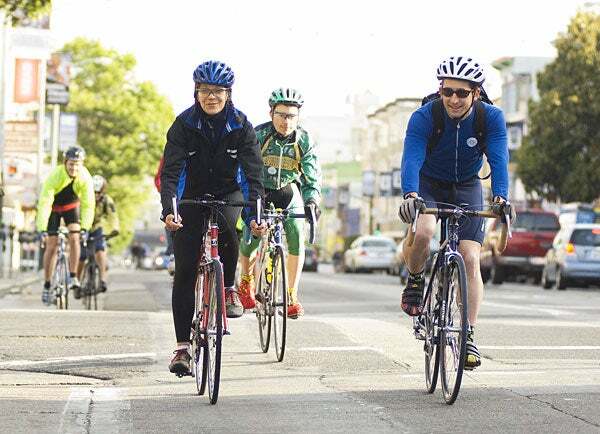 The plan also calls for twice the number of bicycle and pedestrian commute trips and triple the amount of Park-and-Ride spaces in the state. "It's a bold plan with specific goals," Cole said. But VTrans recognizes it has to begin now in the planning process to replace revenue streams if current taxes are reduced as the number of vehicles and fees decline. "Because transportation funds are state funds in Vermont, it's really composed of three sources -- the Department of Motor Vehicles fee, purchase-and-use tax and the gas tax -- and they're roughly a third each in what they contribute to the transportation fund. If we are successful in achieving the transportation goals in the comprehensive energy plan, we're going to reduce the gas tax revenue that comes into the transportation fund and we're going to reduce the available revenues we have to take care of the highways and bridges," Cole added. "So it's an interesting dynamic in that as you're successful in achieving the results of renewable energy, you're actually reducing the funding available to take care of the infrastructure, which we all know we need for a healthy, vibrant economy." Shumlin, a first-term Democrat, released the final comprehensive energy plan on Thursday, recommending the state strive to obtain 90 percent of its total energy from renewable sources by 2050, largely eliminating Vermont's reliance on fossil fuels by mid-century. "Vermont needs to move forward to protect our environment, gain greater energy independence, and drive innovation and jobs in the energy sectors. This plan puts us on that path," Shumlin said in a statement. "I am proud of the incredible work put in by the many agencies involved and the thousands of citizens who took the time to participate in shaping the ideas and actions that are included." In addition to the transportation aspect, the plan outlines a greater use of renewable sources for electricity and heating. State Rep. Mollie Burke, a Progressive/Democrat from Brattleboro who sits on the House Transportation Committee, said it is exciting to have conversations at the state-level with changes in Vermont's transit systems. "It was just so exciting to see the vision of our governor being taken down through the agencies and people in those agencies who are committed to a different kind of vision for transportation," Burke said at the forum. "Other countries have done it better than we -- we really have been stuck in the dark ages, I think, in terms of how much we spend for transportation and what we've gotten for it." Also at the forum was Senior Planner Matt Mann with the Windham Regional Commission. He does not expect too much expansion of the existing infrastructure. "No new roads, so then you're looking at trying to maintain what you already have, and I think we all can attest to the fact that the maintenance of this infrastructure right now has increased over the last 10 years," Mann said. But in larger terms of Vermont's infrastructure, Tropical Storm Irene changed almost everything. The Aug. 28 storm hammered the Green Mountain State, causing millions of dollars worth of damage and isolating more than a dozen towns for nearly a week. "Aug. 28 changed my job pretty much forever, and changed Vermont," Cole said. The response was immediate, with personnel going into the field to aid motorists and clear roads. Command centers were established in Dummerston and Rutland shortly after the storm, sending VTrans employees throughout Vermont. At the height of the reconstruction, more than 3,000 workers from Vermont and neighboring states were in the field. Cole said the state knew not getting the infrastructure back together fast enough meant losing much-needed tourist dollars in the fall. Thursday's forum, with only a handful of residents in attendance, was sponsored by the Southeast Unit of League of Women Voters and the Brattleboro branch of the American Association of University Women. In May, the league adopted a position supporting alternative modes of transportation, good health for Vermonters and looking at environmental concerns. Shared public transportation is also seen as a strength for Vermont's communities, according to the league. Members did disagree on financing and are focusing on identifying how other states fund their transportation and how that could work in Vermont.